Is it just us, or are all the major fashion ads looking glossier and starrier than ever?! This just in; a new batch of Rih Rih for Dior images. Following her debut campaign last month, Rihanna is back for her second round of the season, posing up a storm in this haute power mesh pencil dress for Dior’s Magazine. Depp junior makes her modelling debut this season for Chanel, a house to which her family has some serious ties. Lily-Rose’s mum, Vanessa Paradis, has long been one of Uncle Karl’s key muses, meaning the 16 year-old starlet has probably had plenty of practice modelling their gear over the years. As in CHER! First Celine hired Joan Didion as their muse for spring. Then Saint Laurent snapped Joni Mitchell. And now Marc Jacobs is giving us this…Is there anything better than when an original icon returns to the limelight in all her fashionable glory? This one’s all in those gorgeous teal and sand tones. Ciara’s shoot oozes luxury – she’s totally sold us that maxi dress. Sign of a job well done, non? Designer Nicholas Ghesquiere has recruited not one, but two glossy glam actresses to star in his AW15 pics – and 44 year-old Jennifer and 26 year-old Alicia both look hotter than ever. 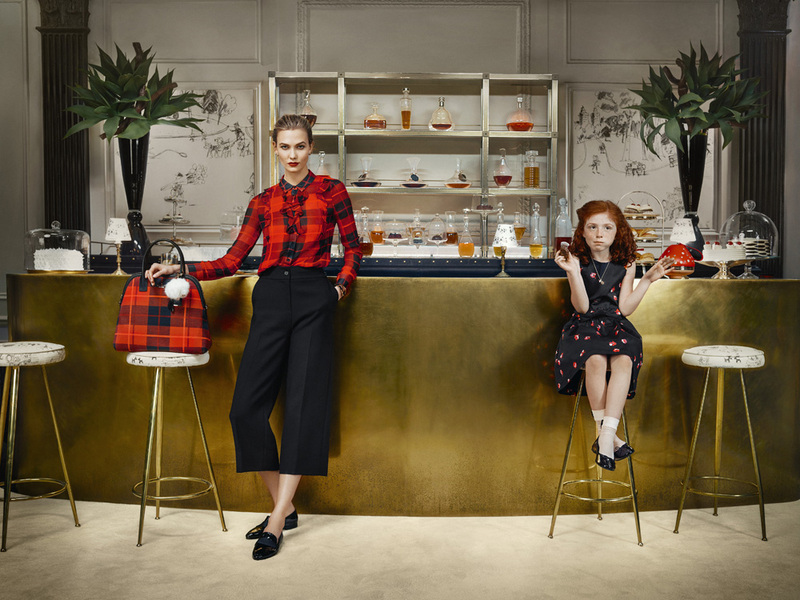 We obviously love Karlie in this Kate Spade ad, but how adorable is her mini model sidekick?! Tartans, pom poms and a cream tea – this one ticks all our boxes. Kendall and Kylie, Gigi and Bella… Balmain’s Olivier Rousteing wasn’t content with shooting just one set of siblings for his AW15 campaign. He shot FOUR.